Remember back on the old blog? No… not the nasty Fire-log. The nutShell blog, that eventually became the Modified ~ Not Just Decorated blog. I shared essays and flash fiction. Babbled about my beautiful babies. Participated in Wordy Wednesday, Music Monday, Thoughtful Thursday. I also did a lot of social and political commentary – usually silly, satirical, sarcastic. My articles and stories ranked high on a peer review site, (except for the one that kept getting deleted for use of the F-word, which was Frankly, Frustrating) and I’d celebrate or moan about my standings and those of fellow writers. I belonged to a community of writers who were hilarious, angry, loving, broken, flying, smart creatures. About a month ago, I shared emails with a few of those folks and it was decided (before I was even a part of the conversation, actually) that I should go back to bloggerating like I used to. I’m not so sure I want to go full steam ahead. I mean… people know me in these parts! And Modified Editing is my work, after all. But there are hundreds, thousands, kalbillions (yep, not a real number) of editors with sites discussing grammar and the publishing industry. 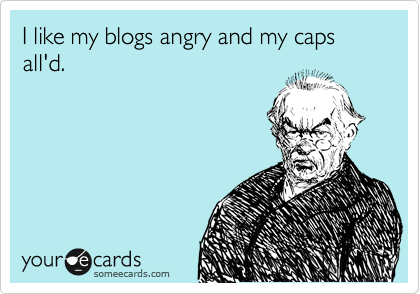 So… I’ve stockpiled a whole slew of posts, written and scheduled. There are plenty more in various stages of creation. I even have 4 full pages in a Word doc with titles and starting sentences to reference when needed. My children returned to school yesterday, so it seemed the right time for me to get started. I am not promising a thing! My family, my work, and my volunteering all come first. So one week may have 5 posts, the next may have none.